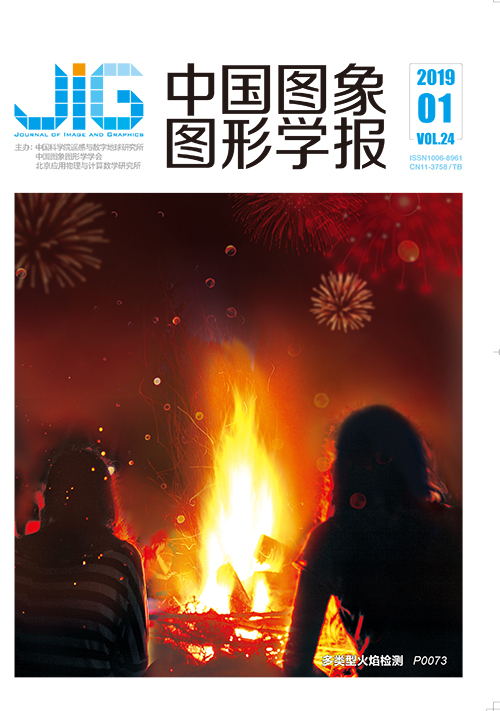 第一作者简介: 周力, 1994年生, 男, 硕士研究生, 主要研究方向为图像处理、模式识别。E-mail:1768910817@qq.com. Objective Images with complex texture features are difficult to segment. Many methods, such as Gabor filter and structure tensor, have been proposed to segment texture images. However, these methods present a number of drawbacks. For example, methods based on Gabor filter must set multiple scales and directions, and the desirable scale and direction parameters are difficult to select. Methods based on structure tensor must set two fixed directions to analyze intensity variations. However, many texture images include irregular direction features. Moreover, utilizing only the intensity variation information is an inadequate strategy. Morphology similarity and direction uncertainty often exist in nature texture images. Existing methods cannot be utilized to accurately segment nature texture images. Method Considering the morphology similarity and direction uncertainty of local texture patterns, we proposed the local connection and difference operators to extract the texture features of images. On the one hand, by setting a threshold for each local region, the local connection operation can be used to analyze the intensity distribution and texture morphology features. On the other hand, by considering the intensity variation trait of texture images, the local difference operation can be utilized to extract the local intensity variation. The local connection operation and the local difference operation are complementary. Then, by combining the local similarity and local difference features with the intensity information, the level set energy function was constructed and further minimized to obtain the final segmentation results. The main advantages of the proposed method can be summarized as the following two points. 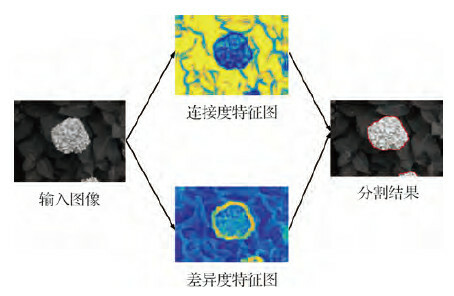 First, the morphology feature was proposed to analyze the local intensity distribution feature of texture images. The intensity distributions of texture images are uncertain for each object region. Thus, extracting the morphology feature of a local region is of great significance. Second, the two proposed operators are complementary. Using only one feature to segment complex texture images is a challenging task. 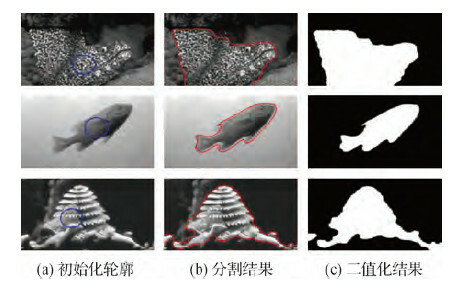 The morphology and intensity difference features can jointly segment images, suggesting that the proposed method can be robust for different texture images. Result We verified the effectiveness of the two operators by comparing it with other operators, such as Gabor, structure tensor, extended structure tensor, and local similarity factor. Specially, we first analyzed the extraction effects of the morphology feature by comparing the proposed local connection operator with methods based on Gabor filter, on structure tensor and extended structure tensor, local similarity factor. The extracted feature of the local connection operator can be used to efficiently discriminate the object and background regions. Then, the local difference operator was used to compare the proposed approach with traditional texture feature extraction methods. The local different operator can accurately extract the local intensity variation. In addition, we conducted three comparison experiments to confirm whether the proposed method can achieve a better segmentation effect than the methods based on Gabor, structure tensor, extended structure tensor, and local similarity factor. Finally, we tested the robustness of the proposed method for different initial contours and images. The segmentation accuracy of our proposed method exceeded 97%, which was considerably higher than that of other methods. 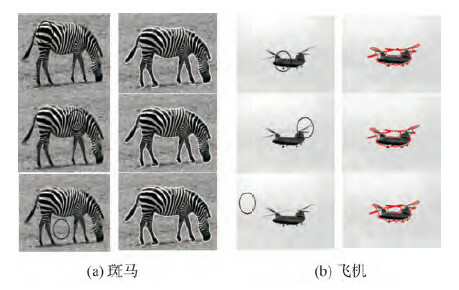 That is, the proposed operator is more effective in discriminating the different texture patterns of images. Conclusion We proposed two complementary operators, namely, the local connection operator and the local difference operator, to effectively extract texture features. The two extracted features are complementary and can be jointly utilized to segment texture images. Finally, we validated that the proposed method can obtain better segmentation results for natural texture images. Sandberg B, Chan T, Vese L. A level-set and Gabor-based active contour algorithm for segmenting textured images[R]. Los Angeles, USA: UCLA, 2002. Houhou N, Thiran J P, Bresson X. Fast texture segmentation based on semi-local region descriptor and active contour[J]. Numerical Mathematics Theory Methods and Applications, 2009, 2(4): 445–468.